The road bike market is evolving. New users are coming to the world of high-performance bikes with a variety of goals other than purely racing. They want more relaxed geometry, the option to fit wider tires and disc brakes, and the ability to cycle long distances without discomfort. Essentially, they want the perfect blend of responsiveness, performance, light-weight, ride quality and comfort. With the Cento10NDR Wilier have brought together all these aspects that until now belonged to completely different visions and experiences of cycling. Developing the ACTIFLEX project since 2014, they have woven their traditional racing DNA into the endurance world. ACTIFLEX is the heart of the Cento10NDR frame, providing an all-new connection between the seat post and seat stays. 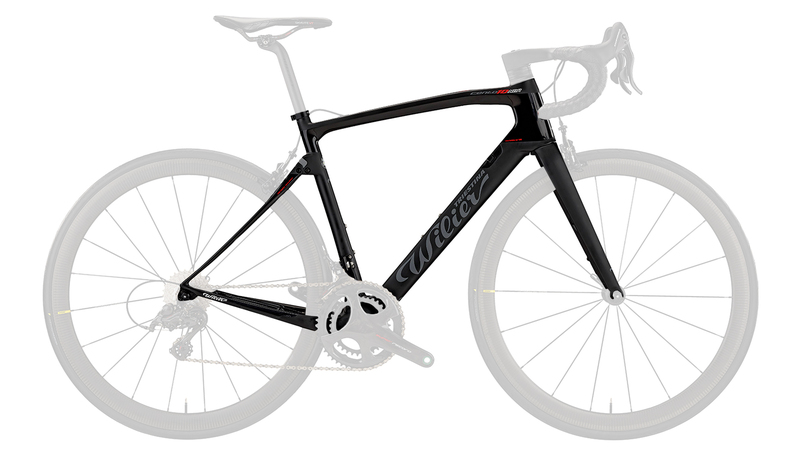 Using a carefully designed aluminum link and technopolymer dissipater, Wilier has given the rear wheel a few millimeters of travel. The torsional stiffness of the aluminum link remains comparable to traditional monocoque carbon seatstays, despite the various connections involved. This stiffness gives the frame racing performance but at the same time allows the rear wheel to move up and down over bumps caused by imperfections in the road surface. Connected to the link there is a dissipater that stabilizes the kinematic movement of the rear triangle. This special technopolymer has amazing mechanical properties, high atmospheric resistance and can function in temperatures from -40°C to +150°C. The dissipater will be made in three different colors for the different levels of density, meaning that ACTIFLEX can be set up perfectly according to the weight of the rider and/or the type of terrain they typically encounter on their bike. Total integration brake routing gives the Cento10NDR a beautifully clean look. Aerodynamic Wilier designed the frame tubes with the highest possible aerodynamic efficiency.